I was kindly asked to include some more of this oldie, all time instrumentals here and with joy I'll do it.Especially because of one more reason. Hardest to find is instrumental for which you don't know any info. I spend years to dig out melodies I knew all my life simply because I didn't know where to start. Of course, internet makes it much easier these days, but 20...25 years ago when I started collecting all sorts of music, it was much harder.Here's one I made last night. 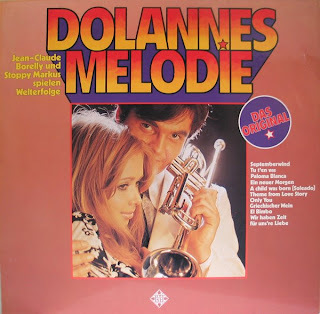 Title was composed by Olivier Toussaint for a french movie ''Un Linceul n'a Pas de Poche'', recorded by Jean Claude Borelly instantly became smash all over Europe. Original is, as you may asume, something over 3 minutes long. I managed to stretch it to 7:14.